As thoughts turn from study to shopping, and classrooms to Christmas, the realisation that another year has almost passed is unquestionably upon us! For many of us, 2013 has been a fantastic year. We’ve had a wonderful response to student enrolments with many students graduating – in many cases immediately finding new, rewarding careers in the massage industry. There’s been lots of fun along the way too with our Facebook page more than doubling its numbers. And what fantastic contributors to the success of the page our students turned out to be! If you haven’t already joined us on Facebook – jump on board – there’s plenty of fun to be had! You can also join us on Google Plus and Pinterest too! The topic of “fun” is actually worth a mention because at Sage, there is certainly a lot of fun and fulfilment in, and outside, the classroom. Our Teachers and Trainers here are deeply committed and enthusiastic about their work, inspired by the progress our students make as they advance through the curriculum. Likewise, many of the students have given fantastic feedback about what a positive and “fun” experience it has been learning at the Sage Institute of Massage. What’s the best thing about teaching at Sage? The most fun moment in 2013? The Peter Mac Ride! 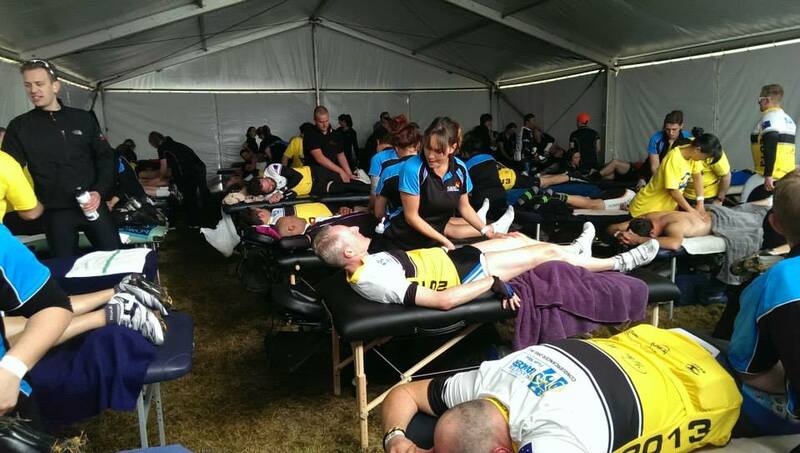 Many of you told us it was “The Peter MacCallum Ride to Conquer Cancer.” As part of the students’ clinic hours, Amy O’Neill, our Career Agent, organised the students to help out as massage therapists at this worthy event – which was an enormous amount of fun and a terrific learning experience. We’ve also attended several other excellent events including Emma & Tom’s Christmas Fun Run 2013 at Albert Park; Staff Well-being & Benefits Expo at the Royal Melbourne Hospital; the Smooth FM Relaxation Station at the Royal Melbourne Show, the Melbourne Health Expo, and the Spring Into Shape Fun Run to name but a few! A successful Diploma graduate of Sage Institute of Massage and World Powerlifting Champion, Pekx – who has only 3% sight remaining, was sponsored by Sage to attend the World Powerlifting Championships in Beijing. He made us extremely proud by setting yet another world record, and winning another 2 gold medals! We wrote his remarkable story here. Our hours will be a little different to normal over the Christmas holiday season. Wishing You All a Very Merry Christmas and a Safe & Happy New Year! We look forward to seeing you all again soon. 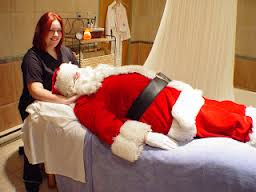 And for those of you that we haven’t met, that are thinking about a massage course in the New Year, we wholeheartedly encourage you to make such a ‘Sage’ decision – and sincerely hope that 2014 gives us the opportunity to meet!